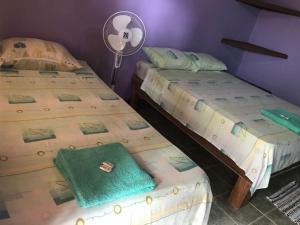 ﻿ Best Price on 3 Bamboo Eco Lodge in Cahuita + Reviews! 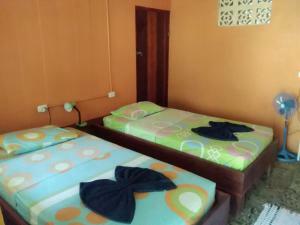 Offering an outdoor pool, 3 Bamboo is located in Cahuita. Free WiFi access is available in this lodge. 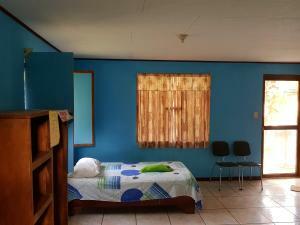 The accommodations will provide you with a TV and a terrace.There is a full kitchen with a microwave and a refrigerator. Featuring a shower, private bathroom also comes with a hairdryer and free toiletries. You can enjoy pool view and garden view from the room. At 3 Bamboo you will find a hot tub, free shuttle service and a 24-hour front desk. Other facilities offered at the property include a tour desk. An array of activities can be enjoyed on site or in the surroundings, including cycling, horse riding and fishing. The property offers free parking. Please note that the Tree house rooms are not suitable for children under 6 years old. Please note that a deposit will be requested via PayPal in order to guarantee your reservation. Please inform 3 Bamboo Eco Lodge of your expected arrival time in advance. You can use the Special Requests box when booking, or contact the property directly using the contact details in your confirmation. This property does not accommodate bachelor(ette) or similar parties.